A few weeks ago anyone that follows us on Instagram might have remembered seeing Jen's picture of her Poptail. What is a poptail you ask? Simple. Wine + Popsicle = Poptail. 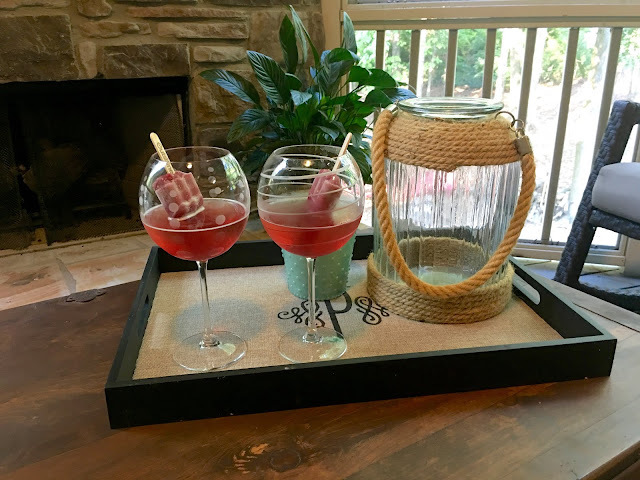 Her kids wanted popsicles, she wanted wine, and this delicious treat was created. Now in full disclosure, we did not create the original poptail, but we certainly are having fun getting creative in our poptail making. I couldn't believe I had never heard of or tried a poptail before seeing her picture so I decided we needed to change that ASAP. I mean, what else do you do when it still feels like summer around here?! 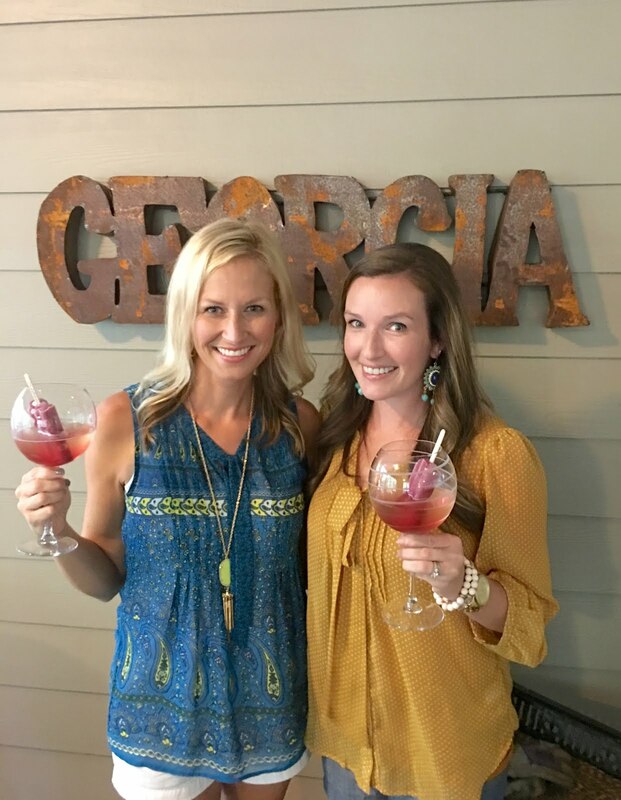 I invited Jen and her family over for dinner last weekend so we could say cheers to the weekend with poptails in hand. 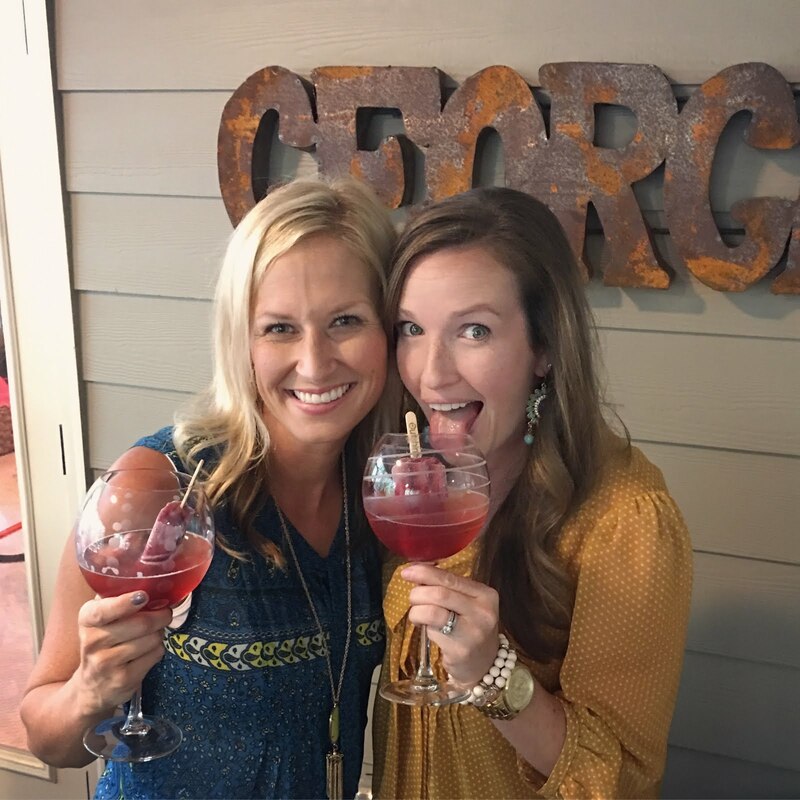 Jen and I don't discriminate when it comes to wine, but being the besties that we are, we have a similar taste in wine and there are many times we have bonded over a bottle of Riesling. I picked up our favorite Chateau Ste. Michelle Riesling and a box of Outshine Pomegranate Popsicles at the store and was ready for them to arrive on Friday evening. When the kids saw us pulling out the popsicles, of course we had to share the sweet treats with them (the popsicles, not the wine). They were shocked though because when Blondie saw Jen plop hers down in the wine she couldn't believe her eyes and questioned, "JEN!!! What are you doing!?!?" We, the mamas, just laughed. It was Friday night, the dads were about to take over kid watching duty and the mamas were ready to enjoy ourselves on the porch. And enjoy we did. I have to say, as a novice to the poptail I was quite impressed. The more the popsicles melts the better it got because the flavors mixed, but it isn't overly sweet like I was expecting. It's just enough to change the flavor of the wine a bit and it looked pretty, too. I'm excited to try different combinations and I can see this newfound treat quickly becoming our new favorite. You know what today is don't you? Friday! The perfect day for a poptail so mamas, be sure to make your kids and yourself happy this evening. Popsicles for them, popsicles for you. Stop by the store for your favorite wine, your favorite popsicles and create your own poptail this evening. Just be sure to share your delicious combinations with us. Cheers!